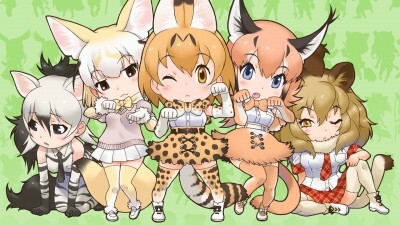 Emerging from a mysterious laboratory in Japari Park, a human child encounters two Friends, Serval and Caracal, who name her Kyururu. 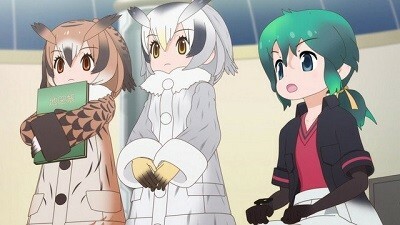 After finding a sketchbook where Kyururu emerged from, the group travel to the locations drawn in the sketchbook in order to find Kyururu's home. Along the way, they come across Indian Spot-Billed Duck, who leads them to the second location in Kyururu's book, a monorail station. When a Cerulean appears, Indian Spot-Billed Duck distracts it while the others head onto the monorail before another mysterious Friend defeats the Cerulean.